The Ottawa Infant and Early Childhood Mental Health Initiative brings together service providers from across sectors interested in building a system of care for infant and early childhood mental health through collective impact in the greater Ottawa community. 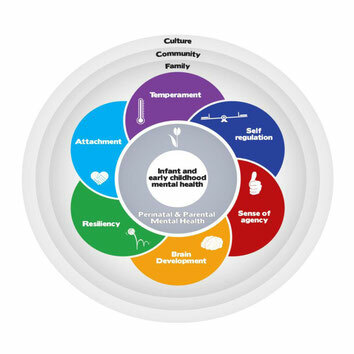 Research clearly demonstrates the importance of optimal early mental health, and the lifelong impacts of the early years. The work of the Ottawa Infant and Early Childhood Mental Health Initiative continues to evolve and change as we grow the system of care for infants, young children and their families in Ottawa. To read the Summary Report or download the initiative's infographics, visit the resources section.